Guido Beauchez is an all-weathered, versatile manager and fundraiser with an extensive management and consulting background in both the profit as well as the not-for-profit sector. Over the last 20 years he directed one start-up, two musea and a charity organisation. As the chairman of the True Nature Foundation, he is in charge of strategy, programma management, grantwriting and fundraising, ecotourism and business development. Arend de Haas is a conservation ecologist with over 18 years of experience with wildlife and landscape conservation, ecotourism and sustainable community development. His research and field experience areas include reserve development, wildlife ecology, conservation strategies incl. community based conservation, capacity building, GIS and remote sensing, wildlife tracking, forest biodiversity and vegetation mapping in Africa, Asia and Europe. 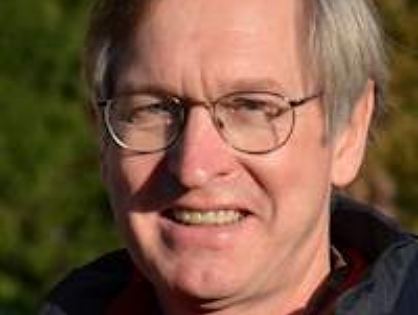 Mark Hoyer, veterinarian, qualified in 1985 from Utrecht University, the Netherlands, and is currently veterinarian / veterinary advisor in natural grazing projects with European bison, wild cattle, horses, and deer. He has a specialization in Tropical Veterinary Medicine and Farm Animal Medicine. During his training he did various residencies in Wildlife and Zoo Medicine in South Africa, Kenya and the Netherlands. 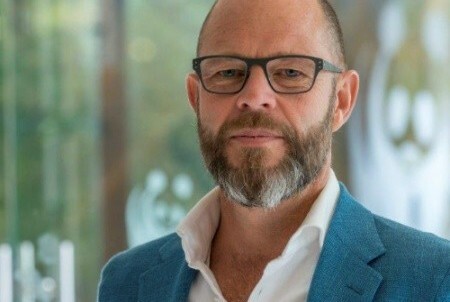 Jalbert Kuijper is a curious, broad minded and interested board member, specialised in business strategy, business development, leadership, coaching, innovation and circular business models. Before joining True Nature Foundation, he previously acted as director business development & innovation at WWF Netherlands. Hans Lenstra (Utrecht University, Netherlands) investigates the molecular-genetic diversity of domestic animals and wildlife such as cattle, sheep, goats, water buffalo and horses. He has worked for 35 years on molecular evolution, eukaryotic gene structure, genome characterization and molecular diversity of livestock and wildlife. His present research interests include the molecular diversity of cattle, sheep, goat, water buffalo, horse and elephants by analysis of mitochondrial and Y-chromosomal DNA variation, microsatellites and high-density SNP datasets. 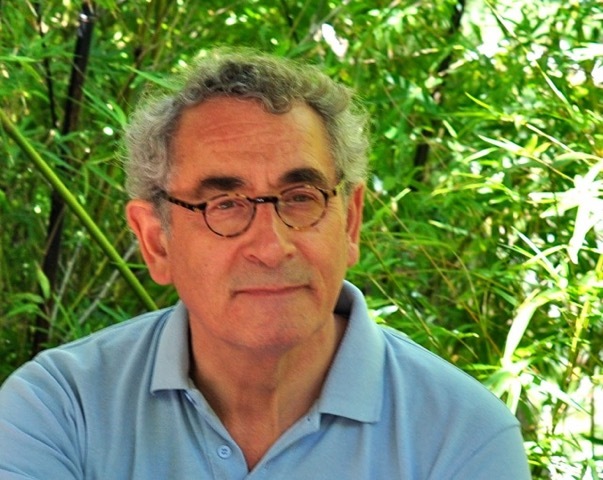 Luis Martínez is an Environmental Educator and teacher in diverse fields of (agro) ecology. Luis collaborates with and has founded several associations, such as the Riojan Association for Environmental Education and the local Seeds Network. He has a Bachelor in Biology, Master degree in Conservation and Evolution of Biodiversity, and an Executive Master in Business Administration. Guy Bennett studied Environmental Geography with an emphasis on Ecology at the University of York. His previous research includes collaboration with Natural England looking at peat restoration and its effects on Nightjar populations. Guy has also carried out research into European Brown Bears with the Scandinavian Brown Bear Research Project, where he researched hunting impacts and interactions between hikers and bears. Daniel Schinteie was born in the Carpathian Mountains in Western Romania, one of the wildest places in Europe. He has always been passionate about wildlife and wilderness. 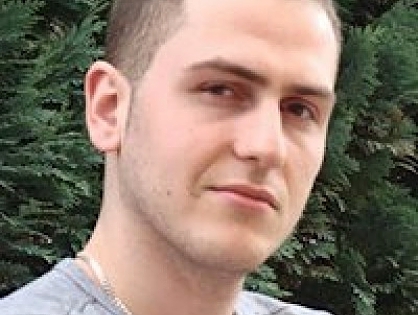 Daniel has a Master’s degree in Tourism Development and Improvement from West University of Timișoara. 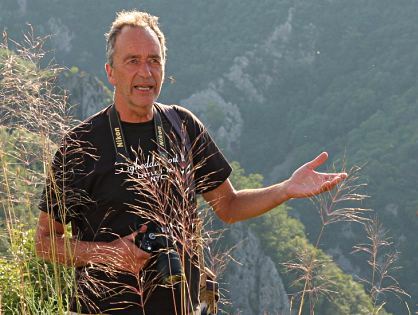 He has a strong interest in developing the ecological and ecotourism potential of protected areas in Romania. 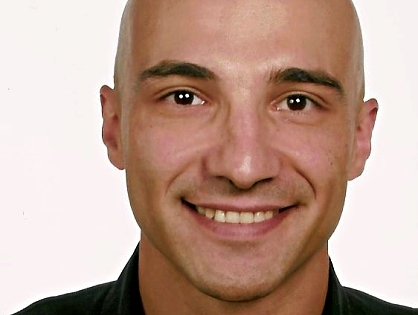 Misha Nesterenko is program manager of the Danube Delta program of the WWF. 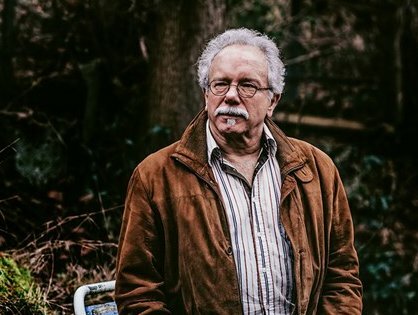 He has many years of experience with conservation in the Ukraine, knows all the stakeholders and has a keen eye for taking chances and turning them into possibilities and projects. Misha has joined our international team of country program managers and we will cooperate in the Danube Delta, another delta near Odessa and in the Carpathian Mountains. 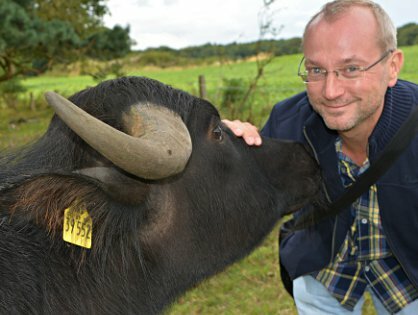 Ecologist Rene Krawczynski, a water buffalo expert from the Brandenburg Technical University in Cottbus. 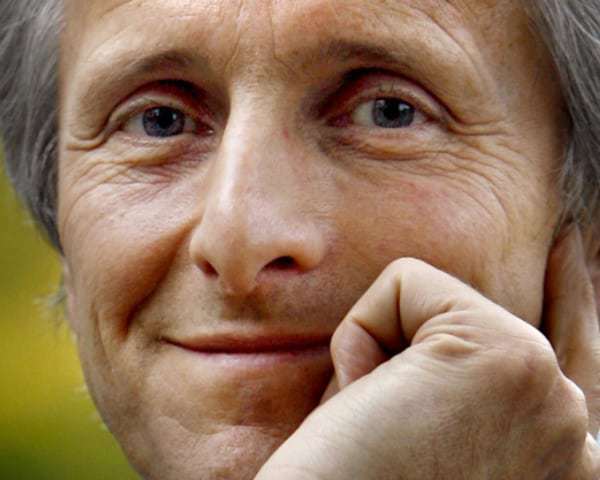 Maurits Groen is a Dutch green entrepeneur (Wakawaka, Kipster, Greenem), climate activist and publisher of the Dutch edition of Paul Hawken’s “Drawdown, the most comprehensive plan ever proposed to reverse global warming”. 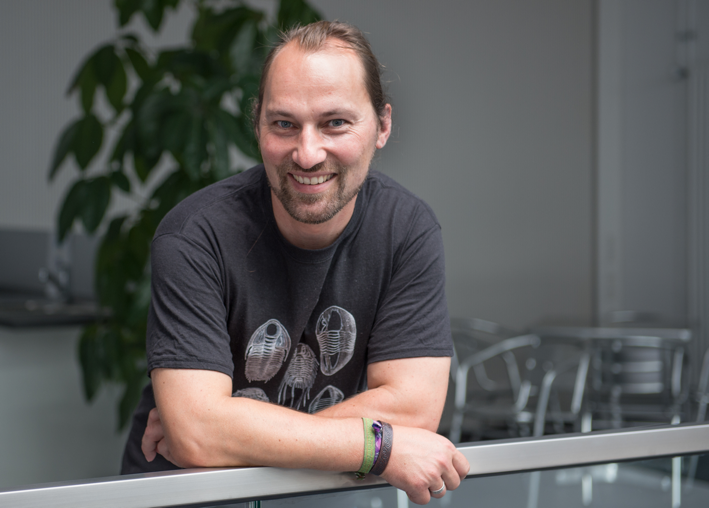 Michael Hofreiter’s research activities focus on the effect environmental changes have on genetic diversity, adaptation and population dynamics in animals. He is especially interested in the use of ancient DNA sequences to directly observe changes in the genetic make-up of populations. Using this approach, population replacements and migrations can be detected that could not be deciphered using traditional methodologies. In summer 2013, journalist and campaigner George Monbiot published Feral: Rewilding the Land, the Sea and Human Life. Part personal journal, part essay on natural science and wildlife (and on our own wild side), the book follows Monbiot’s efforts to re-engage with nature. He shows how, by restoring and rewilding our damaged ecosystems on land and at sea, we can bring wonder back into our lives, and lays out a new, positive environmental vision, in which nature is allowed to find its own way. Ethnozoographer and graduated engineer at the Swiss Federal Institute of Technology with a Master in rural development. Former honorable functionary of WWF-Switzerland. Hape has been concerned with the issue of agrobiodiversity since the end of the 1970s. As executive vice chairman he leaded and supported the activities of SAVE Foundation and the European SAVE Network from 1999 until 2014. David Burney is a Professor of Conservation Paleobiology at the National Tropical Botanical Garden (Kaua`i). His research has focused on paleoecological studies, causes of extinction, and preservation of endangered species. 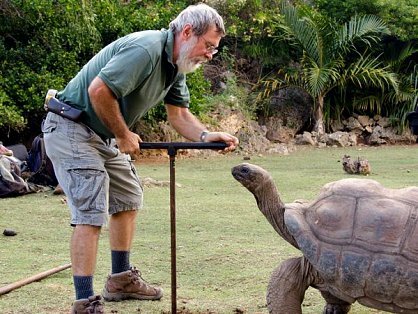 A paleoecologist and conservation biologist whose lifelong interest has been the interactions between nature and humanity, Dr. Burney has over 40 years of practical experience in conservation. 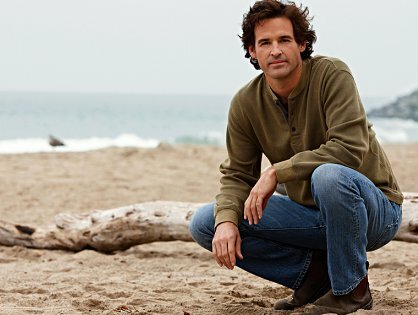 Josh Donlan is the Founder and Director of Advanced Conservation Strategies. He leads the organization by building interdisciplinary teams to tackle environmental challenges in novel ways. Josh is Visiting Fellow in the Department of Ecology & Evolutionary Biology at Cornell University and a Visiting Professor at University of South Paris. He has over fifteen years of experience in international environmental conservation. 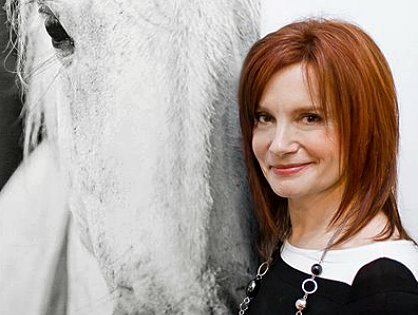 Equine photographer Manuela Stefan travels worldwide to capture the spirit of the horse. Her love for travel and horses has brought her to spectacular locations in France, Romania, Canada and the U.S. The beauty and majesty of horses trigger her creativity to a great extent. She is on a mission to reveal their true nature and spirit to the rest of the world the best way she can. After completion of his academic studies and PhD research in natural sciences and mathematics, George worked from 1974-1985 for the State Public Health Supervisory Body in The Hague. He left public service in 1985 and started within Touche Ross (now Deloitte) a consulting business focussing on management of environmental issues in companies from a business and management perspective.